Whether you like it or not we are now living in a world of "celebrity culture." Glossy magazines fill shelves with images of well-known faces getting married, on holiday or simply out buying a coffee. Television schedules similarly full with celebrities living in a jungle, ice-skating, cooking or ballroom dancing - meeting the public's apparent growing need for celebrity reality shows. Despite this myriad of outlets to achieve this Andy Warhol moment and be "famous for fifteen minutes" it came as a shock and surprise when a promo started circulating on social media last year for "Dolphins With The Stars" - a show being touted by Spanish TV production company La Competencia. Justin Bieber, P!nk, Eva Longoria and Taylor Swift were included in the names we were told would be participating. Naturally this caused a real storm and the lack of response from such famous names, and La Competencia themselves, simply fueled suspicion and uproar. Eva Longoria, a well-known animal rights advocate, did eventually distance herself from the show and it was thought this was either a spoof or merely a publicity seeking move by La Competencia. 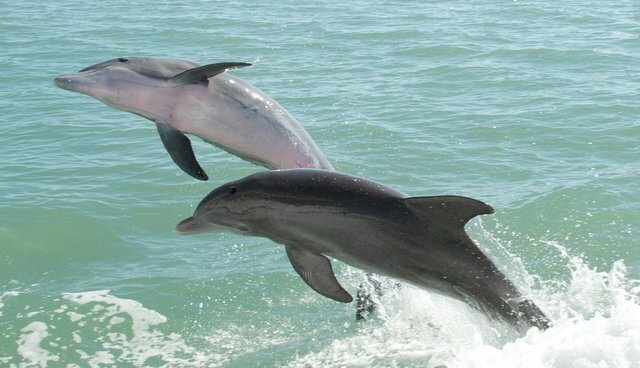 Disbelief followed when in February it emerged that the first "Dolphins With The Stars" had indeed been filmed and broadcast on national television in Lithuania. The "winner" Ramunas Vysniauskas would make a guest appearance on the next show - oh and the dolphins were thanked by the presenters at the end of this one! The next "Dolphins With The Stars" was to be filmed at Zoomarine, Algarve in Portugal. Local television channel SIC would broadcast the show in June. Several high profile and extremely influential organizations including Marine Connection and Born Free Foundation were alerted and sought to prevent the show going ahead. Local advocates also set about the task of preventing this taking place and Facebook group "People Against Dolphins With The Stars" worked alongside these groups from a social media perspective. Online activists sent emails to Zoomarine and SIC whilst confirmed participants were asked to educate themselves on captivity rather than seek fame off the back of it. Isaac Alfaiate an actor and director posted on his Facebook page that he had withdrawn from the show following communication with several marine biologists. This good news was followed by news that in early May visitors to Zoomarine were asked to sign a disclaimer; what for wasn't confirmed. Filming hadn't taken place yet and the list of those taking part kept changing. On May 18 came news we'd all hoped for: Portuguese animal welfare group ANIMAL and UK-based Marine Connection who had been working together jointly announced the show had been suspended. Dolphinaria-Free-Europe coalition raised issues with the hosts and broadcasters and also asked the Portuguese President to intervene. In turn the President's office raised it with the Institute For Nature Conservation and Forestry who informed the board of directors at Zoomarine it was "unfavorable" for the show to proceed. Can such a show be seen as "scientific" and "educational" with captive dolphins being trained to perform by celebrities in the confines of a tiny pool? SIC will certainly think so, they stand to lose a lot of money and may well challenge the decision. This also puts any future shows, and some countries have already been identified, in real jeopardy. If they do, animal welfare groups and animal rights advocates all over the world will be waiting for them.